Angel investors partner with entrepreneurs in many ways. There are many levels on which an angel investor can get involved with your business. Be it financing your business or giving you critical advice in the times of adversity. The investment community has been undergoing a radical change and believe it or not, it has taken several decades for the community to be where it is today. For most early stage ventures, venture capital is almost non existent. If you do not have collaterals and profits to show for, you do not have access to even seed money for your business. Not only are venture capitalists not self assured enough to take risks with new ventures, they are also not entrepreneurial enough to help them through critical times in their business. When it comes to venture capitalists, it is no piece of cake because neither do they relate to you, nor to your business. They are entrepreneurial entities by themselves, who have little in the way of knowledge in how to run a business. Of course, it goes without saying that there is seldom any feeling of personal interest. For venture capitalists, your business is a project. All the VC is then interested in, is an assurance that the money will be returned. How it will be returned, is not something that the venture capitalist bothers about. Angel investors, on the other hand, not only give you the seed money to begin your venture, but also help you shape your ideas and nurture your processes and systems to enable your business to flourish. Angels are more likely to offer you help on how to run your company so that you are able to make it profitable. Unlike venture capitalists, who regards you and your business as a project that could earn them money and further business, an angel investment is more likely to take interest in your progress. Of course, it is true that not all angels become your guardians when it comes to your business, but there are many who would take a keen interest in your business as well as your own professional development. Individual angel investors usually have strong business skills. They are usually from business or service backgrounds and have years of experience behind them. Therefore, they have the ability, experience and the foresight to help the business increase. It is always a good idea to offer your investor a role in the company. Most investors would be happy to take up executive function in the company. Even if they have retired of their own will, most investors have so much of experience that they hate to see it all go to waste. Nothing can make them happier than a good professional challenge. They understand what a business needs, having been a part of businesses in various capacities themselves. during their professional years, they not only have amassed wealth, but also the knowledge to drive a business to success. Your angel investor, as a part of your company, can help spearhead projects into successful completion. They can help raise a company off the ground and help mature it with their own thoughts, contacts, expertise, direction and financial assistance. Having them in your team also ensures that you have experienced counsel at your disposal whenever you need it. they can participate in all the operation parts of your business, as well as the strategic planning. With their experience, you can also devise better ways to improve your products and services, lower your costs and boost your profit margins. Younger companies are always facing a lot of challenges. Apart from the teething problems, your business will also face intimidation from the other organizations that have already established themselves in your business. There are only a few people who really understand how to be a successful entrepreneur. Mostly, this comes from experience and a testament to this fact is that almost 50% of startups fail in their first year. It is not as if these start ups did not have the right kind of finances or the entrepreneurs did not have the right kind of ideas or passion. The simple fact is that these start ups did not have the experience to drive the business through tough times. Most new and first generation entrepreneurs may buckle under the pressure and fold. There are too many companies that experience the pressure of the changing markets and the ever present competition, but too few that have the direction and the foresight to deal with these adversities. If you offer your investor a position in the company, in any capacity, they will most likely jump at the opportunity of being back in action again. You can have your investor as a part of your business as an advisor, a board member or an employee. You can always negotiate the terms as and how they are agreeable to you and your investor. It is important to understand that not only does your investor have a vested interest in the welfare of your business, but they are also extremely experienced professionals themselves and therefore know the complex techniques which are required to salvage a start up company from doom. They can bring in discipline into your company which is crucial at the stage of inception and initial growth. 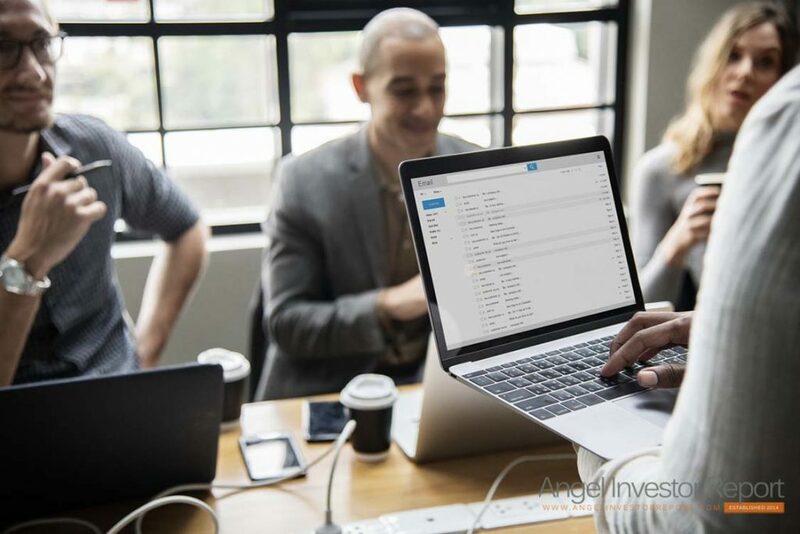 Apart from the experience and the clarity of thought which an angel investor can offer you, they can also put you in contact with potential customers and refer your products and services within their own social circle. What is more is that their association with you lends your businesses credibility and also makes it easier for you to get more funding at a later stage in time when you require a second round of funds. The valuation of your company will continue to grow in the coming years and as your company grows, you also get to learn a lot of things. The experience of your investor can help you grow manifold and can even help you become better at your own trade. The issue of money between an investor and entrepreneur is not as intimidating as one would believe. In fact, it can become the binding force between two people.